Each week I've been starting out my study of the fruit of the spirit by delving in to what they mean. Kindness surprised me, as the Bibilical definition was very different than what a dictionary would say, with even more disparity to what society might call kindness. I approach faithfulness cautiously. One of my spiritual gifts is faith ... for me there is a temptation to define "faithful" as "full of faith." Sweet, I'm done right? WRONG. As always, the best definition is what the Bible, God's own Word, says faithful means. 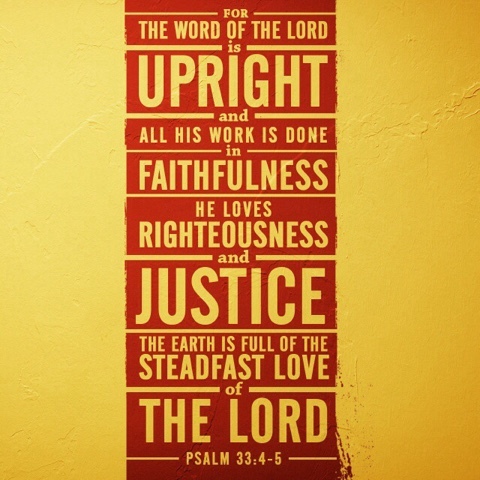 Psalms gives a concise and cutting definition. That means I can't say well, I have faith, that is enough to count as faithful. It means I am remembering, studying, learning, and OBEYing his commandments. Without the Holy Spirit I simply can't do it. When we are new Christians, stumbling around it can be very hard to live faithfully. I lived unfaithfully for a sadly long period of time. But as I draw closer to God by burying my nose in His Word, His Spirit has more room in my life as more of me is set aside and it is so much easier. The more faithfullness we demonstrate, the more He reveals for us to be faithful in and with. In the end, we start to (finally, in stubborn cases such as my own) see that He means for us to be faithful in all things. Faithful in how I pray. Faithful in my relationship with my husband. Faithful in how I teach my children. Faithful with my money. Faithful with my decisions. Yes, all of them. Faithful in how I treat others. Faithful in where I go and what I do. Faithful with my writing. 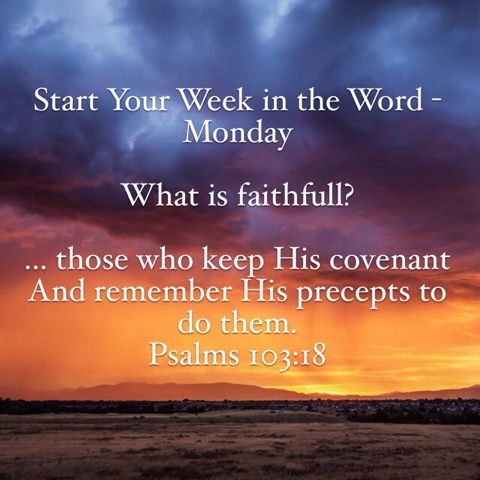 If we are being faithful we are obeying Him. Not just a list of "thou shalt nots." Oh no. Sweet friend, if that is what you think Christianity is I beg you to dig deeper. That would be like if all we taught our children was "do not touch the stove." The things God asks us not to do are things that will hurt us. But imagine taking your child camping, or something you enjoy, for the first time. Look up my dear! Look at the stars! Isn't it amazing? Have you ever watched a child's face when they are still enthralled with finding the moon? Imagine God watching you like that. We are His precious children. He doesn't just give us a list of things not to do. He has work for us! 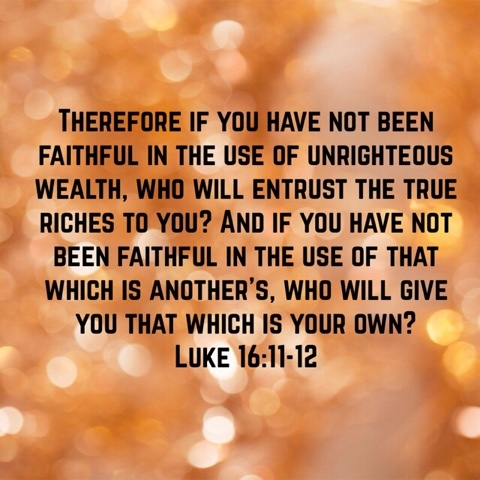 When we act on His whisper to do something for someone else, we are being faithful. When we take take to appreciate Him and what He has done for us, is showing us; when we listen to Him ... we are being faithful. Sure, we aren't saved by what we do. We can do nothing to save ourselves. He has already saved us; all we have to do is have faith and accept. But when we understand WHAT HE HAS DONE FOR US, the sacrifice He has made, the great graceful forgiveness He bestowed on us even in our utter UNfaithfulness, the desire to do His works burns within us. 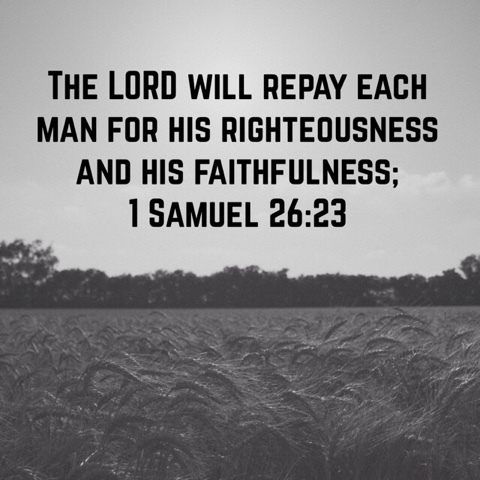 And He promises to repay us. Probably, dare I say hopefully, not in this life. Though I can't imagine a better feeling than when I obey. A rich and overflowing sense of fulfillment which our souls long for and cannot slake with the offerings of this world overcomes me. 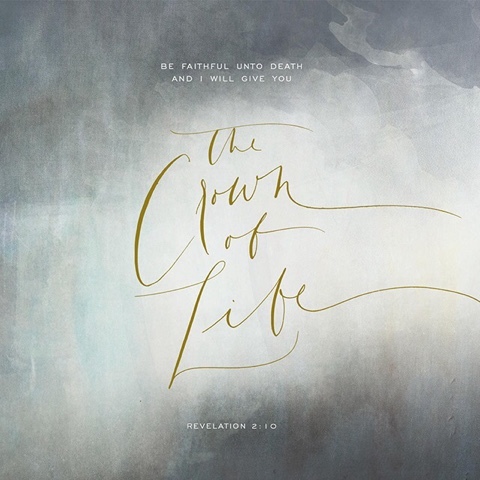 As the age of this world draws to a close, it will become increasingly difficult to remain faithful. Instead of simply listening to God and doing His will ... we will be acting in defiance of a new world order. God's marching orders will be in direct opposition. I want to be THAT kind of faithful even if I don't live to see that day. Because I want to leave a legacy for whatever generation will.